Eat a Raspberry with a Friend ! Did you know that today is National Raspberry Cream Pie Day? Raspberries are abundant at this time of year. Raspberries- like many other fruits- are an excellent source of Vitamin C, manganese and fiber. They also contain the phytonutrient ellagic acid, a potential anti-cancer agent. They are an excellent source of soluble fiber and may help lower blood pressure and cholesterol levels. Raspberries also provide a slow release of carbohydrates into the blood stream. This fruit is very low in calories, providing just 64 calories per cup serving. Raspberries also provide 8 grams of fiber and 54% of the daily need for Vitamin C.
If you are looking for raspberries on this eventful day you may be surprised to find that a variety of colors from red to black to purple to yellow are all available. Raspberries should be bright, shiny, and uniform in color. Avoid ones that are dull and appear to have surface moisture, as moisture promotes decay. Handle this produce very gently to avoid bruising. Bruising shortens the life of the fruit and contributes to low quality. 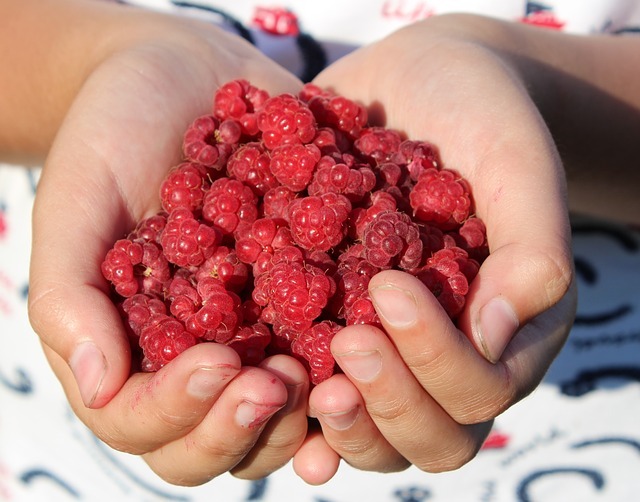 Berries are highly perishable; therefore, store fresh raspberries uncovered in the refrigerator as soon as possible. Gently rinse berries in cold water prior to use. Never soak berries in water. Be aware that raspberry shelf life is short so only buy what you can use. Plan to eat your berries within one to two days after purchase. Whisk sweetened condensed milk and lemon juice together in a bowl; gently fold 1 pint of raspberries. Spread filling evenly within the crust. Refrigerate until set, at least 3 hours. 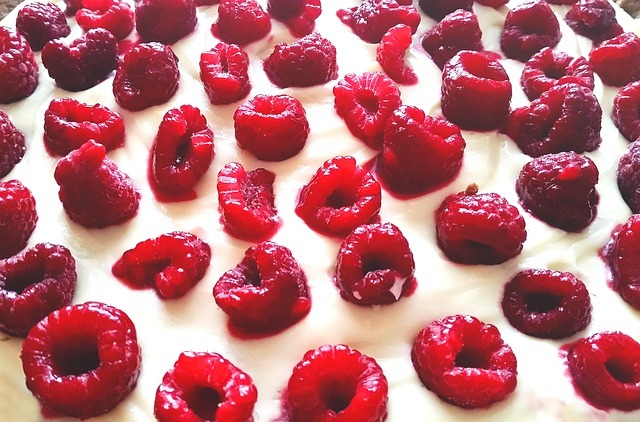 Top pie with remaining fresh raspberries when ready to serve and enjoy! Top nonfat yogurt with fresh raspberries and some granola for a great breakfast, snack or dessert. Lastly, just enjoy fresh berries as a snack. They are delicious, sweet and juicy! WRITTEN BY: Susan Zies, Extension Educator, Family & Consumer Sciences, Ohio State University Extension, Wood County and Marcia Jess, Program Coordinator, Wood County.